If you're looking for something quick and easy to do with a friend, head out to Norwington Estate and find a circular area where a bunch of nobles are dancing. 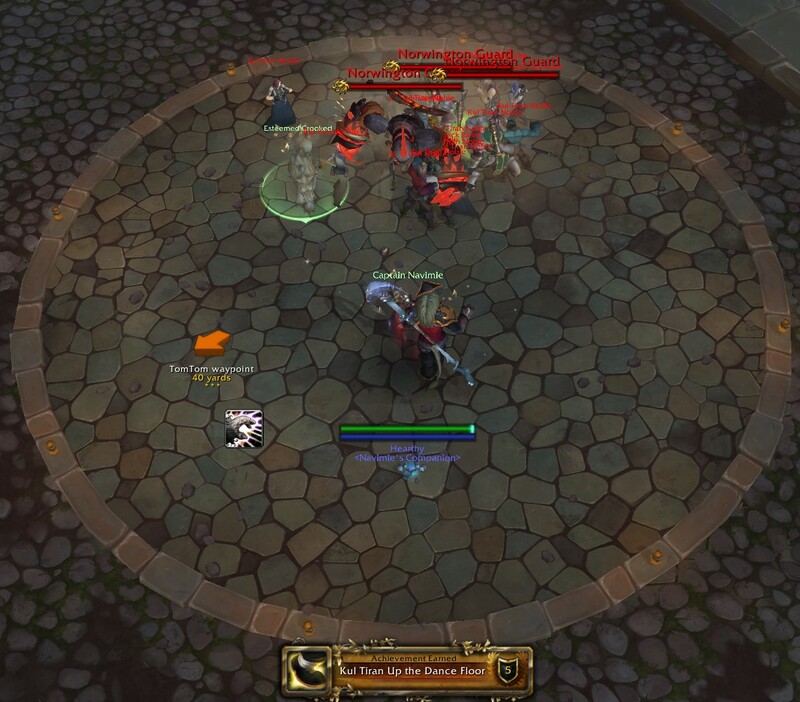 It must be easy as alliance, but as Horde, you're gonna have to get in there, do a /dance and then run like hell. I think you have to dance for at least a few seconds before you get the achievement. You can get pretty close to them without aggroing, and then basically run in, target your friend (actually not sure if you need to do that, but might as well, it doesn't hurt) and then dance! Once we got our achievement, Crooked and I ran away and managed to lose the guards. A nice quick and easy 5 points on achievement points! I love that achievement! Grats on getting it as Horde. For some reason I'm reminded of that scene in the Grease movie where the boys decide to be naughty and dash out on the dance floor to moon the tv cameras, then dash off. hahaha!